and CNG/LNG infrastructure for sustainable transportation. Let us fuel your next adventure. Verdek offers a broad variety of green technology solutions for your business, your city, or your home. Choose the product that suits your needs, and we’ll take care of permitting, installation, training, and maintenance. We offer a full range of charging stations, both networked and non-networked, for home and business use, as well as DC fast stations for commercial fleets. Our chargers are found nationwide in parking facilities, shopping malls, entertainment venues, condominiums, and residences. 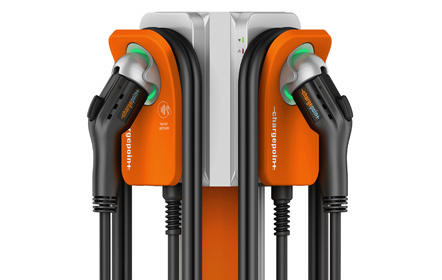 Our product line includes Chargepoint®, AeroVironment®, EvoCharge®, Efacec®, eMotorWerks®, and more. Verdek sells and services a full range of CNG compressors from time-fill for small fleets to fast-fill for public stations and large fleets. The low operating cost and small footprint of Galileo’s Nanobox®, Microbox®, and Gigabox® compressors makes them the most efficient on the market. Remote monitoring of our stations allows you to optimize your energy usage and assure a full return on your investment. Verdek’s LNG mini plants can capture pipeline or wellhead gas, even in remote locations. 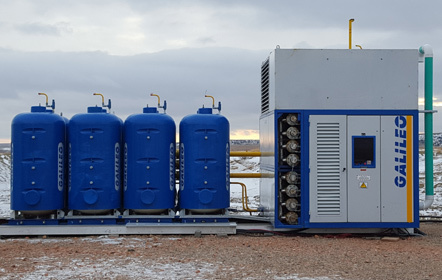 Our Galileo Cryobox® solution combines great performance with a small footprint, and at a lower operating cost than traditional LNG plants. 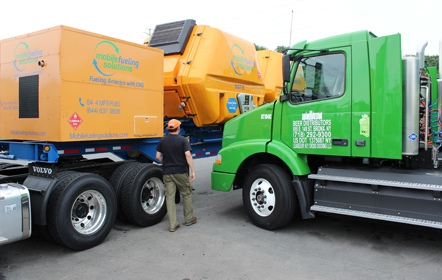 Our units are highly mobile and can travel easily between your drilling sites for expedient operations. They can service fleets, ferries, tug boats, trains, and more. Verdek offers a fully-integrated biomethane compression system that recovers natural gas and CO2 found in farming and dairy by-products, as well as other organic industrial waste, and converts it to usable clean energy. 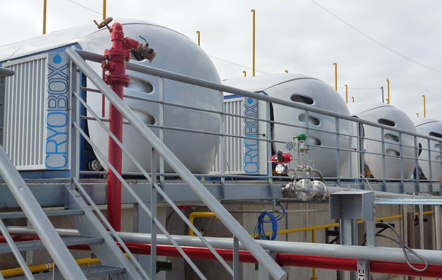 Galileo’s Cryobox-Bio® Liquefaction Station (for LNG) and Microbox-Bio® Compression Package (for CNG) are modular stations that allow you to monetize your waste and make a fast, efficient, and eco-friendly return on your investment. Verdek’s Galileo Virtual PipelineTM brings natural gas to remote areas where traditional pipelines are not feasible, and eliminates the need for tube trailers and other potentially hazardous transportation methods. Taking advantage of existing road networks, the Virtual Pipeline delivers LNG or CNG in modularized fireproof containers (MATs) that meet individualized energy demands, especially in rural areas. 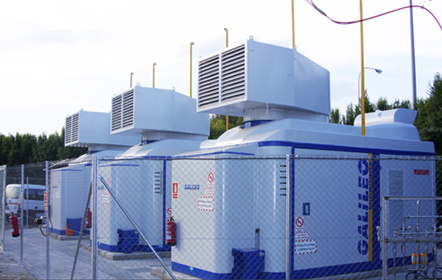 Verdek’s Microgrid Solutions offer the fail-safe reliability and redundancy necessary to offset increasingly frequent power outages due to hurricanes, tornadoes and other weather-related events. 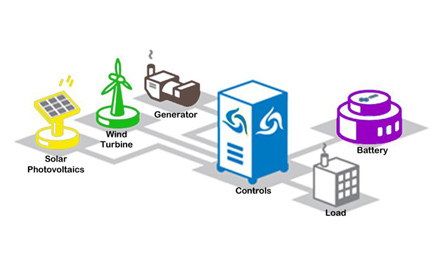 Whether your power originates from an electrical grid, battery pack, or generator, our microgrids optimize energy production by reducing peak demand charges. It’s a modular solution that can be adapted to the specific electrical configurations of your operation. You choose the product model. We will take care of the permitting, installation, service, and training. For public installations, Verdek will work with your city or town to get a permit for your energy solution. We also provide engineering maps and anything else needed for approval. As part of Verdek's customer service commitment, we continuously monitor all networked technology you purchase and initiate a service action when needed. Verdek covers all aspects of your installation, from conducting a site survey, to connecting your power sources, to network activation. We ensure your installation meets all local codes. Verdek’s Technical Department will train your administrators and all additional personnel in the use of your newly-installed green technology. Here are just a few of the companies that chose Verdek's products and services. Green energy plays an integral role in our sustainable future. Just let our numbers do the talking. The use of our networked stations to date has avoided over 4 million kilograms of greenhouse gas emissons. That’s the equivalent of planting this many trees and letting them grow for 10 years!